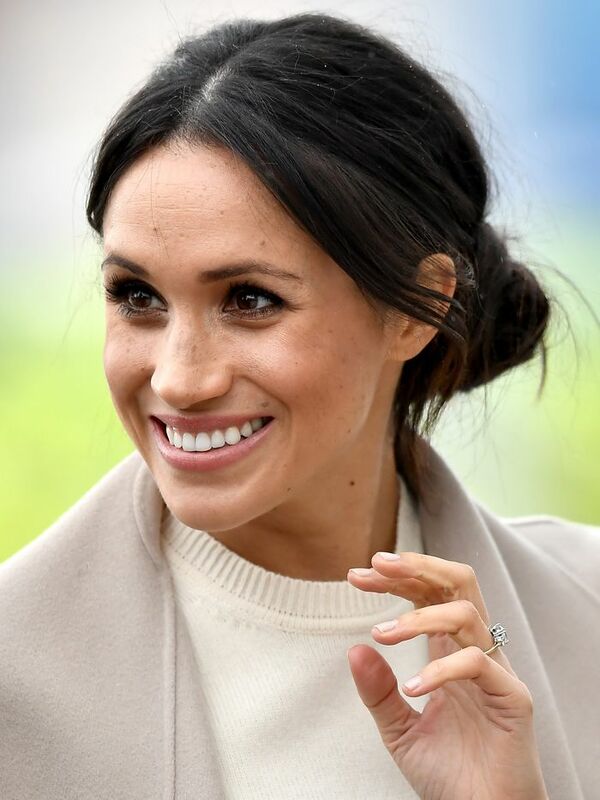 Anyone who has visited the Tower of London will know that the royal family's collection of precious jewels is pretty epic, so it's not surprising that royal engagement rings are as staggering as any celebrity engagement ring. If you love ogling at diamonds, see our guide to the most beautiful royal engagement rings and discover the stories behind them. Spoiler alert: Princess Grace of Monaco's is overwhelming. 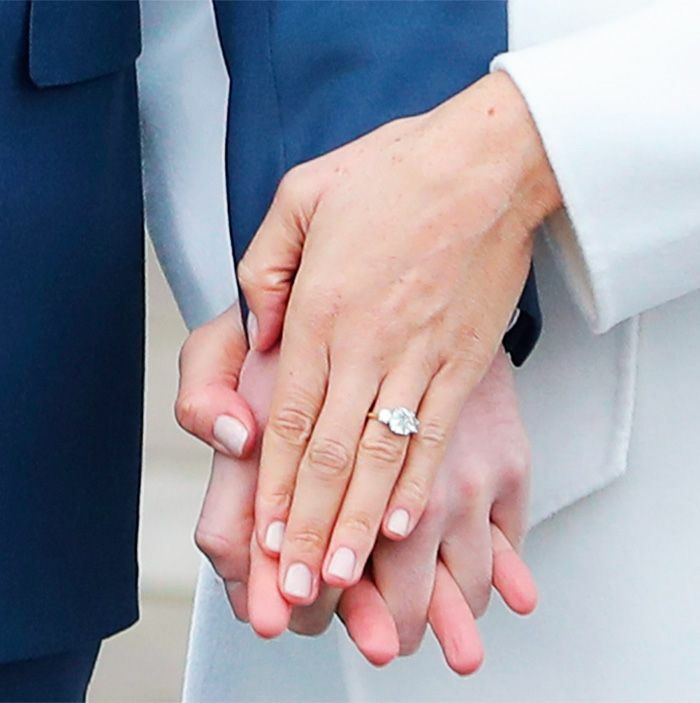 Keep scrolling to see seven of the most spectacular royal engagement rings. Prince Harry proposed to Meghan Markle over a roast chicken dinner this year, with a ring that he designed himself with court jewellers Cleave & Company. He sourced the central stone in Botswana, and the two surrounding stones were from Princess Diana's personal jewellery collection. Princess Margaret's middle name is Rose, so it seems apt that her husband, Antony Armstrong-Jones, designed an engagement ring for her that resembled a rosebud with a ruby set by a cluster of diamonds. The Duke of Windsor proposed to Wallis Simpson with an unconventional 19.76-carat emerald ring by Cartier engraved with the message "We Are Ours Now 27 x 36." The "We" represents Wallis and Edward, and the numbers are said to stand for 27 October 1936, the date of her divorce from her second husband. Prince William proposed to the Duchess of Cambridge in Kenya with the 12-karat sapphire-and-diamond ring that belonged to his mother, Princess Diana, explaining it was a way that she could be there for the special too. Following the engagement, Prince William told ITV, "It's my mother's engagement ring, and it's very special to me, as Kate is very special to me now as well. It was only right the two were put together. It was my way of making sure mother didn't miss out on today and the excitement and the fact that we're going to spend the rest of our lives together." Queen Elizabeth II's engagement ring is equally sentimental, as the diamond was from one of Prince Phillip's mother's tiaras. Fun fact: Jewellery brand Clogau has been creating wedding rings for some members of the royal family since 1923 using rare Welsh gold. Princess Charlene of Monaco's engagement ring is a three-carat, pear-shaped diamond ring created by Maison Repossi. Queen Letizia's engagement ring is a band by jeweller Suárez and features 16 diamonds in a white-gold setting. Letizia is now rarely seen wearing her ring. Prince Rainier III first proposed to Grace Kelly with a diamond-and-ruby eternity band by Cartier. However, he upgraded this to a spectacular 10.48-carat emerald-cut diamond surrounded by two diamonds also by Cartier. The ring even had a Hollywood moment, as the princess wore it in her last film, High Society. Next up, see the most expensive celebrity engagement rings of all time.